Ahly's in-form midfielder Amr El-Sulaya has signed a three-year-and-a- half contact extension that will keep him at the club until 2022, the Cairo giants announced on Sunday. 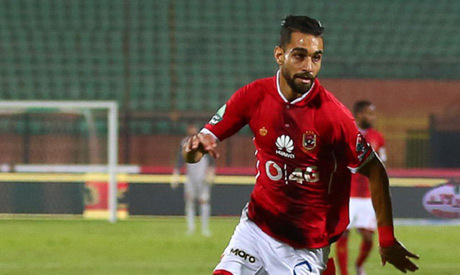 The 29-year-old, who has scored two goals in 19 appearances so far this season, produced a series of fine displays with Ahly under the guidance of newly appointed coach Martin Lasarte. The former Ismaily midfielder joined Ahly from Emirati side Al-Wehda in January 2016. Ahly also extended the contract of Tunisian full-back Ali Maaloul for three years on Saturday. The Red Devils are aiming to keep hold of their prized assets as they chase a fourth successive Egyptian Premier League title. They are third in the league table with 39 points, nine behind leaders Zamalek who played one match more.